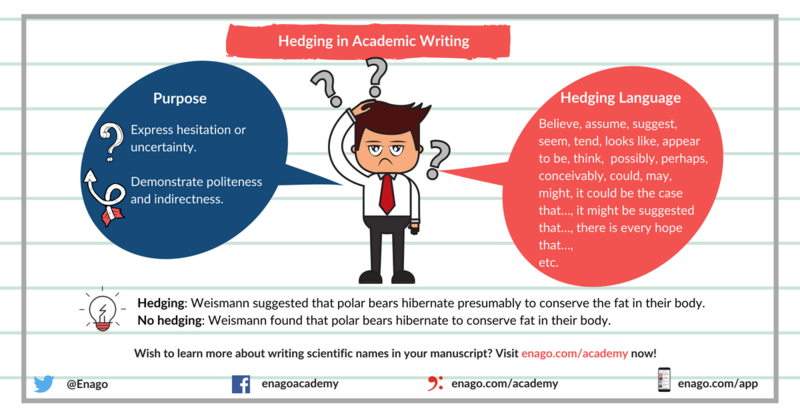 Hedging is often used in academic writing to express uncertainty or indirectness in certain statements or findings. Authors can use certain keywords and phrases such as “possibly,” “indicate,” “suggest,” etc. in their writing to convey an idea if they are not too sure about it. 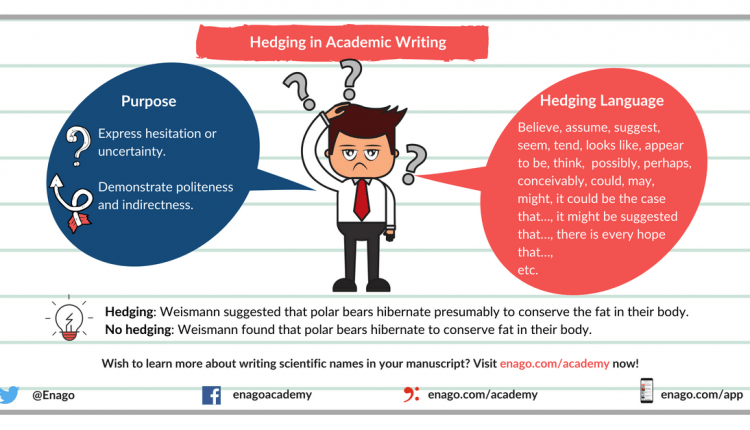 To know more about hedging in academic writing, click here.